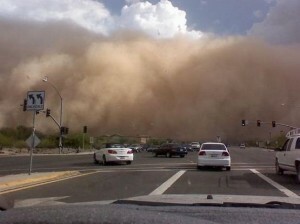 Monsoon/Haboob Season Is Approaching In Arizona! 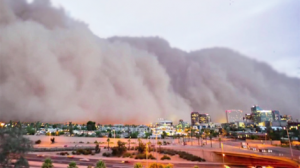 When Is Arizona’s Monsoon/Haboob Season? 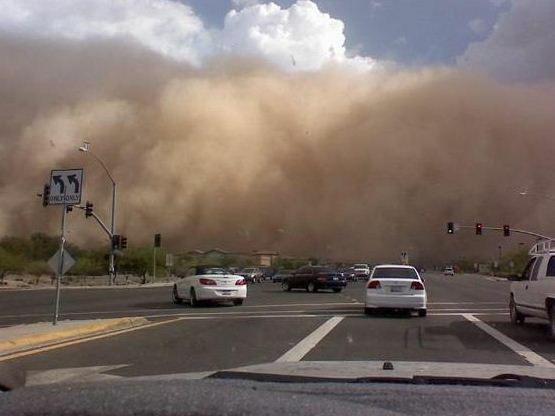 The Monsoon/Haboob season in Arizona is from June 15th until September 30th. Monsoon/Haboob storms can be simple dust storms to violent thunderstorms. 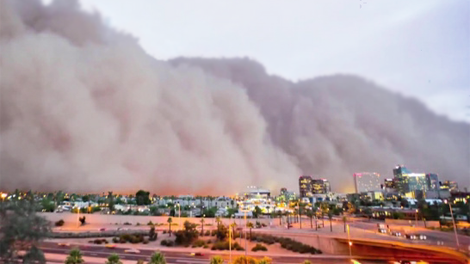 Often the Monsoon/Haboob storms start with heavy winds sometimes resulting in a visible wall of dust hundreds of feet high moving across the Valley. Visually they are amazing to watch, but can be very dangerous to your home & auto. 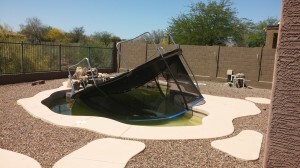 Does Damage Occur During Monsoons/Haboobs? Yes, damage can occur from the winds, or debris being tossed around such as trees & power lines. Once the storms moves across the valley homeowners will emerge from their homes to find patio furniture and other items not only from their yard, but often neighbors belongings in their pool. Also, as a result of these storms damage to homes that are not as sturdy, like some manufactured homes occur. Often when the Monsoon/Haboob storms dump a lot of rain in the valley in a quick amount of time, the ground and surface streets sometimes have areas of flooding. Due to the low levels of rain received in the valley most drain systems are not set up to handle the large amount of water so quickly. Several communities have water retentions that are also play areas set up to help with the water draining. There are a couple of locations throughout the valley that have signage that warns drivers not to use that roadway due to flooding, which sadly at times are ignored and cause a news story showing someone being rescued from a flooded vehicle. Arizona has implemented a “stupid motorist” law that allows rescuers to fine drivers that have to be saved after driving through a flooded area. Troy Reeves & The Reeves Team want share information with you so you enjoy living in the valley of the sun. Please stay safe during the coming Monsoon/Haboob season. Follow the warnings when it comes to driving and the safety tips for avoiding damage to your home and property. Next Next post: How to Boost Curb Appeal – Starting with the Front Door!